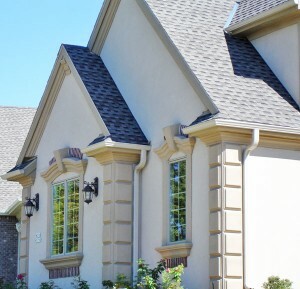 Stucco Crown Molding is a leading manufacturer of custom stucco moldings, foam shapes and pre-based stucco mouldings serving the commercial and residential markets of Pittsburgh, PA and the surrounding areas. We guarantee professional results and timely customer service for our clients who demand the finest quality product at an affordable price. Our products may be used to dress up a variety of different exterior building materials including stucco, stone, or brick. Some architectural columns paired with a set of detailed bases and capitals can enhance the appearance of any home or building. Our pre-coated stucco trim and sill products are intended to be installed around exterior windows and doors. Architectural accents such as bands, cornices, headers, brackets, keystones, and quoins are used to add even more detail to a building façade. At Stucco Crown Molding, we are able to bring your vision to life with the help of our high tech computer software and machinery.